We all want to be healthier because we all know that as good stewards of our health it is our responsibility. Sometimes, though, it can be more difficult to make important changes to your eating habits. They are called habits for a reason! But when you do find a way to make these vital changes, it is easier if you have some guidance. For me, that means I need recipes. I seriously do not know a lot about vegetables and what they taste like to always make informed decisions. Luckily I know a few excellent books that are available that will help point me in a healthier direction. And not just for me, my family will benefit from my knowledge too. And that pleases me. I want my children to be better educated about what they are eating and drinking. I was not so educated, so these books will allow me to encourage better eating habits for my children, which in the long run is a total win-win situation. After checking over the list so I could share with you, I have chosen my two favorite recipe guides. I am a huge lover of baking and all things dessert, so you can probably guess which ones I picked! Isn’t your mouth simply watering now?! Mine is and I am so excited that I am able to pick up this book as well as many more in this year’s Ultimate Healthy Living Bundle (2016 Edition). This is just a teeny, tiny portion of the bundle. My sweet tooth will ultimately be the death of me if I do not change my ways. Sounds crazy scary to say that doesn’t it? Sadly it is true. My love of all things sweet has created numerous health issues for me in the past 5 years, okay, truthfully, the last 15 years. I need to change ALL my habits, including my refined sugar intake. 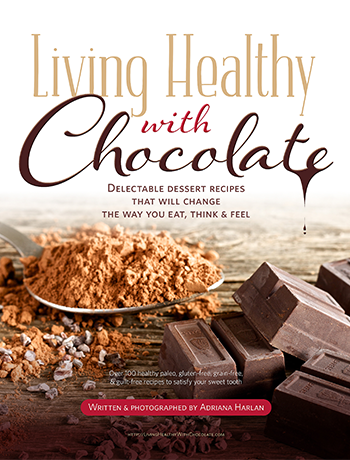 Thankfully, this book, Living Healthy with Chocolate, by Adriana will make this happen for me. 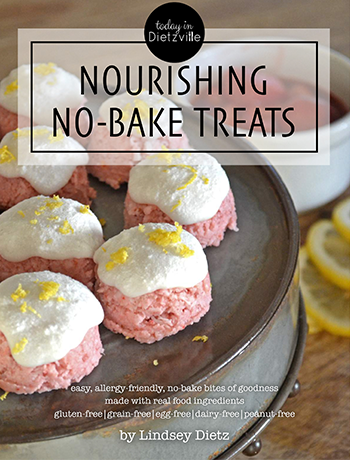 Not only does this recipe book contain an incredible amount of recipes, it also will allow me (and you) to gain knowledge about healthy eating too. And I’ll be honest, knowledge is valuable. How can I teach and encourage my children if I don’t know more? Included are 139 pages and 9 chapters including recipes for bars, brownies, fudge, breads, cakes, pies, chocolates, truffles, cookies, snacks, ice creams, frozen treats, jams, nut butters, sauces, muffins, and cupcakes. All recipes are made with only real foods, and every ingredient in each recipe has been carefully selected to provide the maximum number of nutrients, beneficial fatty acids, and antioxidants. If you actually made it past the first line of that description, you are incredible! I had a hard time moving on because of the list of goodies. Wow! I was calculating that if I purchased just the two recipe books I talked about above, I would spend almost $37. But since I got them and 54 other eBooks (AND so much more!) in the Ultimate Healthy Living Bundle (2016 Edition) I saved myself some money. There are so, so many more books available on the market that say they are about healthy living but you can’t truly know for sure. In this I am fully confident, the Ultimate Bundle team seeks out the most reputable folks and allows you and me to purchase at an awesome discount. For me, these are products that I would not usually be able to afford. If you are looking for more ways to improve your healthy lifestyle, just know that you are not alone. If I can make these changes for my health and my family’s health, so can you!